Lets Nurture Launches Blood Monk Version 2 to Enhance the Life-Saving App! There are good times and the bad ones in the lives of everyone. But hell breaks loose when the life of a loved one is in danger. Especially, when one needs blood and he/she cannot find it. People do donate blood, but not in huge numbers. And even if they do, a real problem occurs when one can’t find a blood donor with the matching blood group in the vicinity. Thanks to the technology, we have paved our way through all such problems. 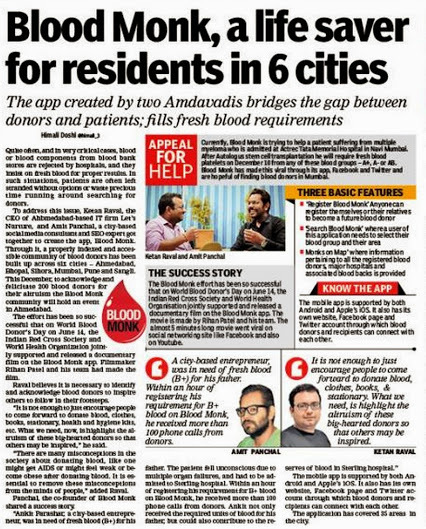 Lets Nurture, an IT firm based in Ahmedabad, has for long been in news in the medical field and masses for rendering the iOS and Android app ‘Blood Monk‘. 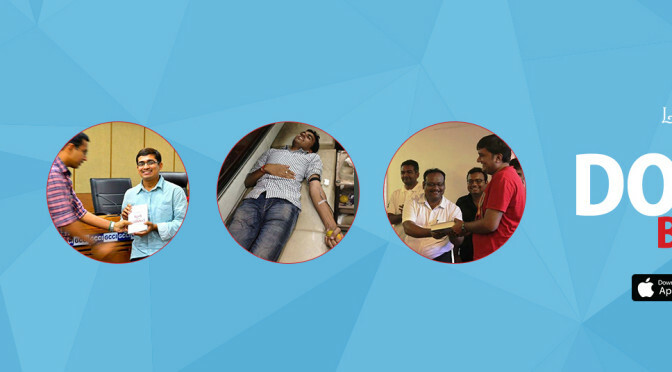 It has a strong database of donors in the city so that the one in need of blood can get in touch with the concerned person during the medical emergencies. The firm has recently launched the second version of ‘Blood Monk’ to provide seamless utility to the users. Blood Donation is a heroic task and that is why Lets Nurture addresses the blood donors as ‘Monks‘. A documentary has also been shot to bring forth the idea of ‘Blood Monk‘ application and its usefulness and has been supported by Indian Red Cross Society and World Health Organization. « Millennial Media Comes Up with a Global Survey Report on Developers and Operating Systems!